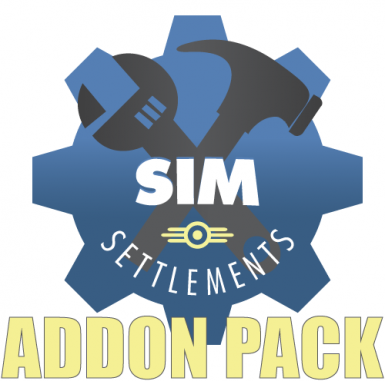 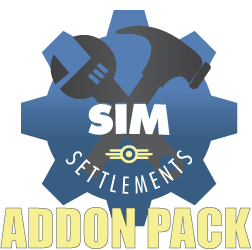 Sim Settlements AddOn Pack containing a power plant building tree, and a barracks building tree. 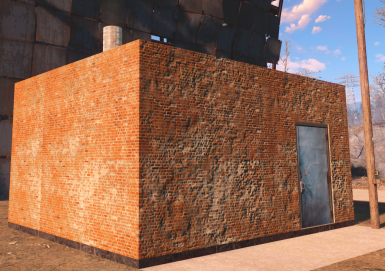 Adds 2 new Building trees, one for Power, and one for defense. 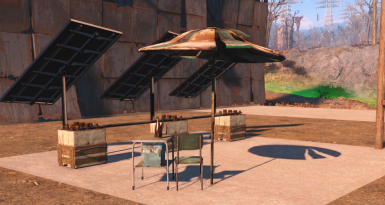 Lvl2 Minutemen Quarters - Provides 25 base defense* and 10 happiness Consumes 6 Food and 6 Water. 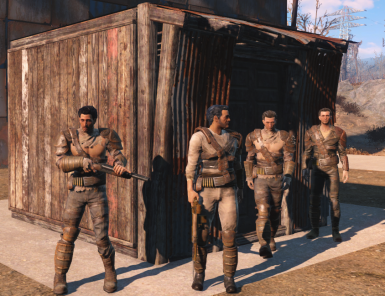 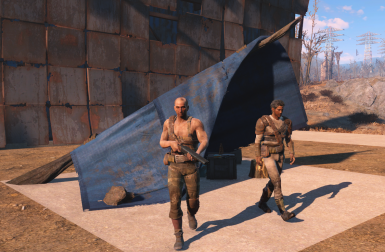 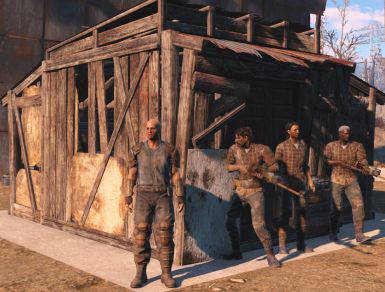 Lvl3 Minutemen Barracks - Provides 50 base defense* and 20 happiness Consumes 12 Food and 12 Water. 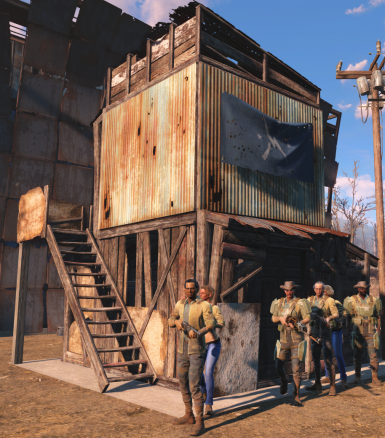 Lvl2 Railroad Safehouse - Provides 30 base defense* Consumes 6 Food and 6 Water. 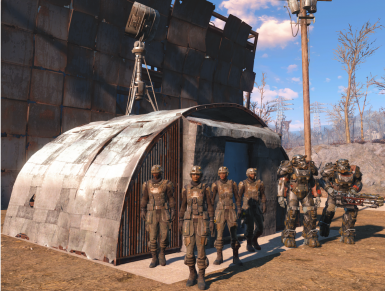 Lvl3 Railroad Covert Operations Center - Provides 60 base defense* Consumes 12 Food and 12 Water. 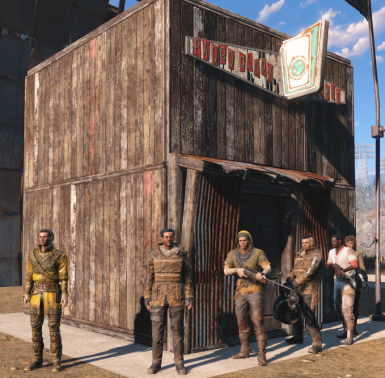 Lvl2 Brotherhood Recruitment Outpost - Provides 35 base defense* Consumes 6 Food, 6 Water and 10 happiness. 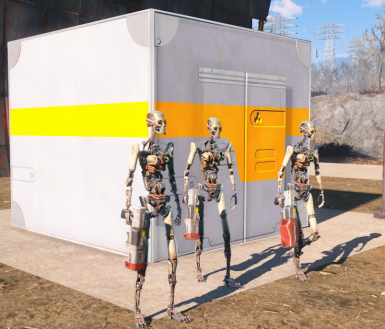 Lvl3 Brotherhood Stronghold - Provides 70 base defense* Consumes 12 Food, 12 Water and 20 happiness. 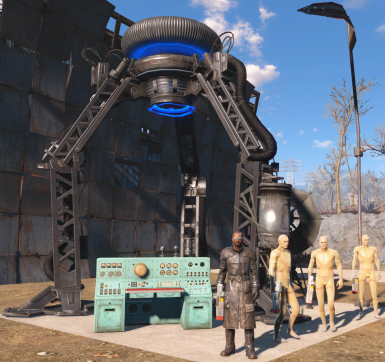 Lvl2 Institute Outreach Center - Provides 40 base defense* Consumes 10 power and 20 happiness. 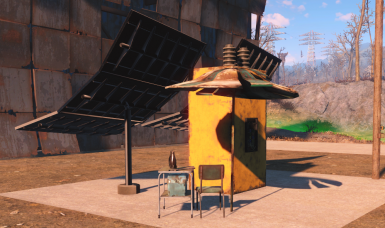 Lvl3 Institute Relay Station- Provides 80 base defense* Consumes 20 power and 40 happiness. 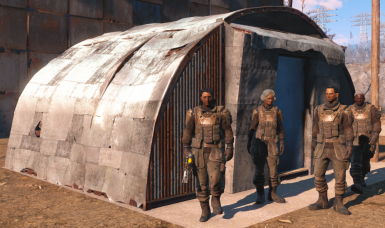 Each Factions Barracks is Settlement-Unique, it takes the script about 60 seconds to catch up so don't upgrade 2 of the same faction's barracks in the same settlement at the same time, since only one will provide defense. 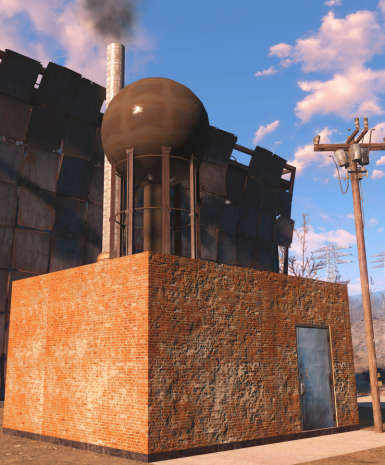 Don't place the windmills next to and thing higher that 3 stories, otherwise it will clip. 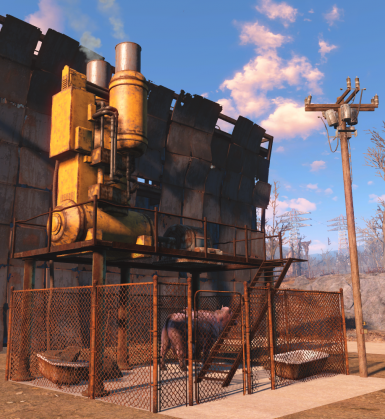 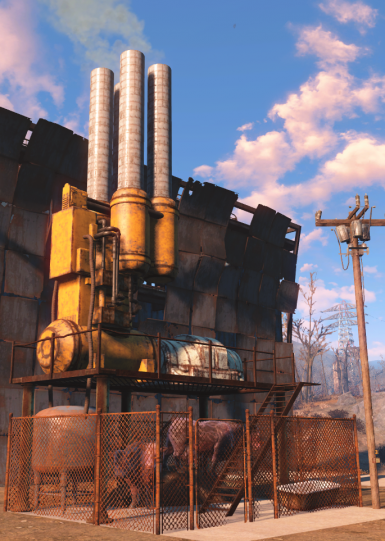 The Oil Power Plant requires you have at least 1 of Industrial Revolution's oil pumps in the settlement.